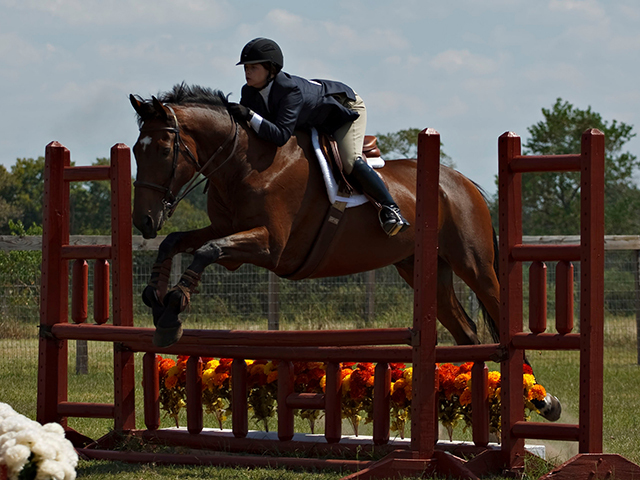 The amazing Thoroughbred has always been a staple of the Hunter and Jumper ring. Our finest Warmblood lines all trace back to Throughbred sires and the base of all Show Jumping as we know it in America was founded on Thoroughbred stock. At Little Bay Farm we’ve had many Thoroughbreds over the years, some of which are shown below. We take pride in the success of our Off The Track Thoroughbreds (OTTBs) and are very glad to see them returning to favor in the show ring. 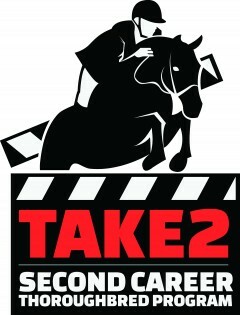 We can help you pick your next TB and start it on the path to its new career. To research YOUR horse’s pedigree enter their registered name HERE. Don’t know their name?? You can enter part or whole tattoos HERE. Risque is a terriffic example of the classic hunter. She is light and delicate to ride but very intelligent and focused. 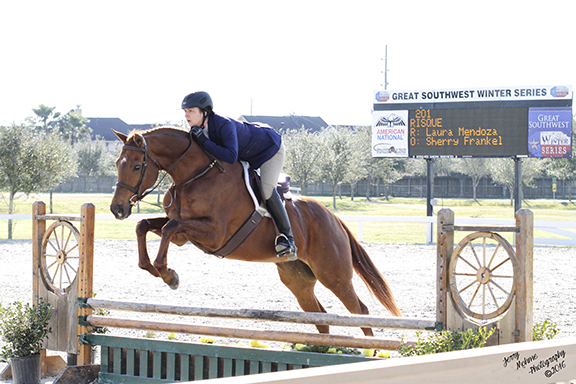 Leo is an older gelding with a long history in the hunter ring. 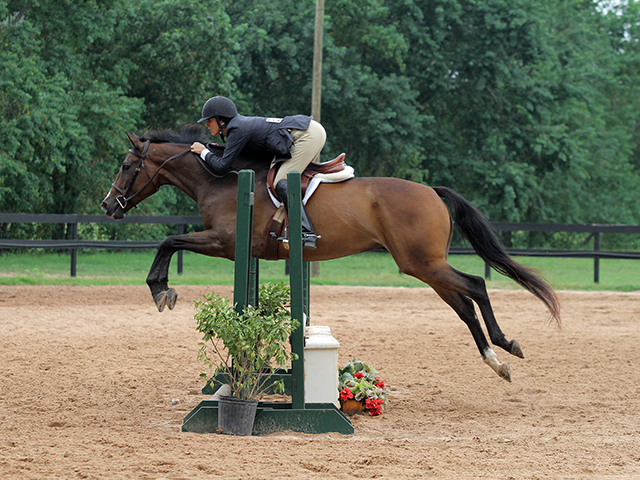 He is currently leased by a LBF client and showing in the Junior Hunters and Equitation. He is the classic TB hunter type. Kyle is a five year old prospect for Mrs. Alexa Wilsun. He is the quietest, easiest young throughbred off the track we have ever seen. He loves to jump and shows extraordinary talent. Such a please to ride and have in the barn! This incredibly well bred little horse did not want to run and was posted on Canter in early 2015. 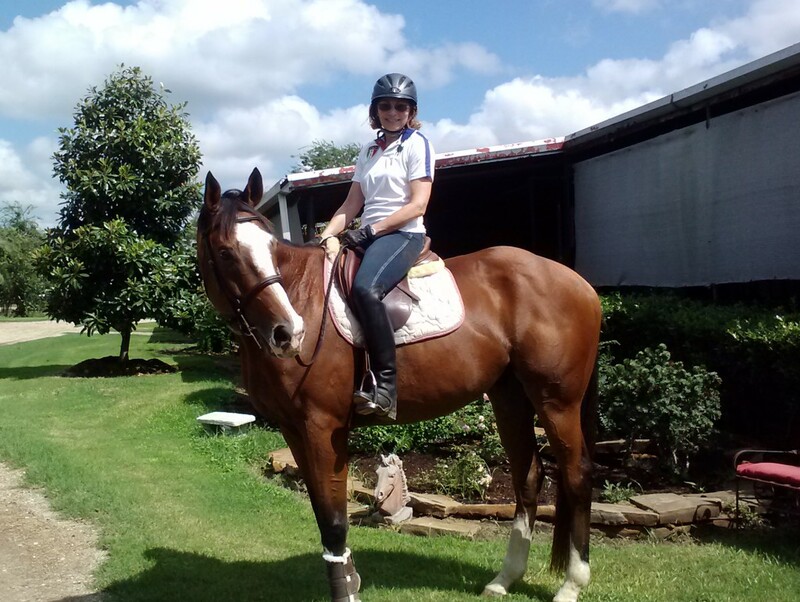 Purchased directly from his Owner/Trainer at Retama Park in San Antonio TX, Charlie has been a delight to train and LOVES his new job as a hunter. He has excelled at jumping and will hopefully be making his show debut very soon! 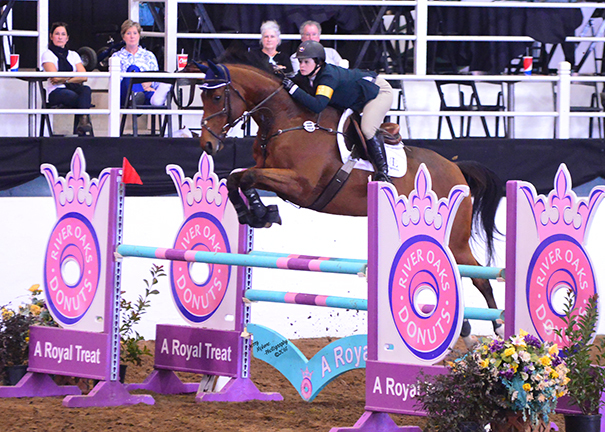 Clark has excelled in the Jumper ring earning several titles including the third place nationally in the 2015 Take2 Thoroughbred awards as well as being the USEF Champion Low Adult Jumper for Zone 7 in 2013. 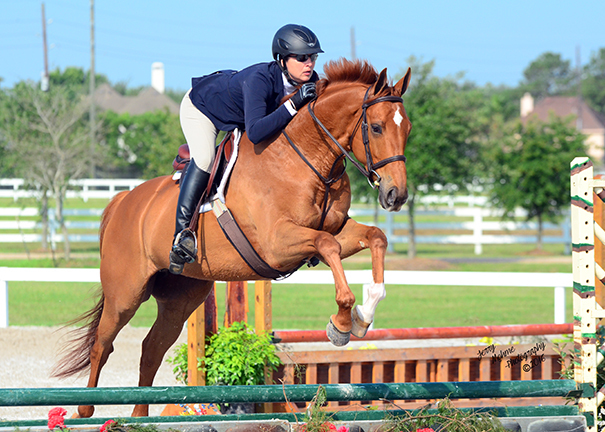 Originally purchased to be a hunter, his athletic nature and extreme intelligence was better used in the jumper ring. This horse loves to horse show and has quite an ego. His usual show day routing involves Blueberry Cake donuts. 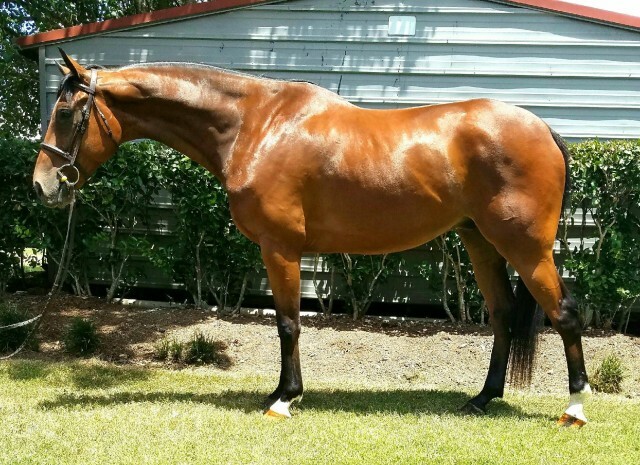 An unfortunate pasture accident as a yearling prevented Cam from going to the track but he has excelled at his job as a hunter with classic form and lovely movement. 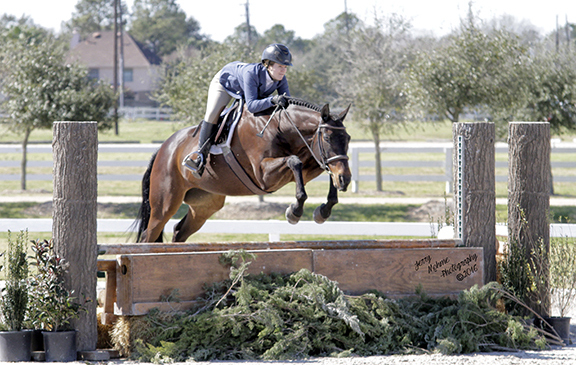 In his first year of showing he placed third overall in the Baby Green Division at the end of the 2011. 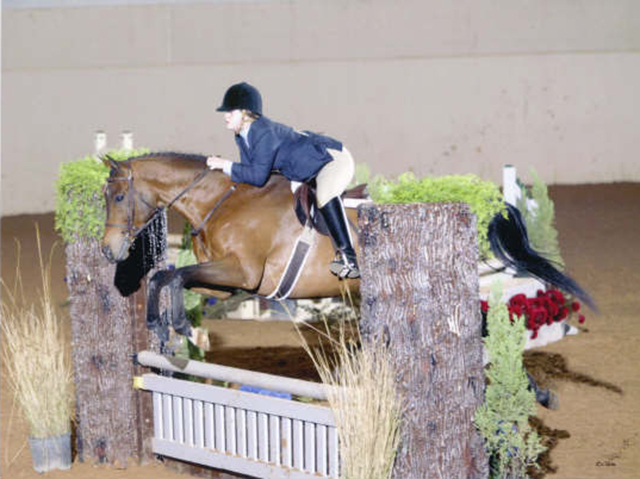 Jayce started in an astounding 47 races before retiring sound to be a show hunter. His super laid back attitude makes him an absolute pleasure! The incomparable and indestructable Saul has seen more ribbons and more riders than I can count. There has always been a waiting list of clients eager to have him for a ride. He has been champion in every division and retired in 2011, at the age of 21, after earning his owner the title of Limit Medal Champion. He was kind to everyone and has been willing to try anything from ponying colts to polo practice. A giant of a horse he certainly owns the name “Epic Proportions”. This delicate gelding has been a super teacher and show partner for many years taking countless riders to “AA” shows and always bringing home the ribbons. He thrives on attention and is always looking for some fun.